8256 1/8" - 1/4" Asco 8256 Series Miniature 2-way Solenoid Valves, Direct Acting, Brass or Stainless Steel Bodies. NSF Approved. Up to 500 Psi. 8262-8263 1/8" - 1/4" Asco RedHat 8262-8263 Series Compact 2-way General Service Solenoid Valves, Direct Acting, Brass or Stainless Steel Bodies. Up to 750 Psi. 8210 3/8" - 2-1/2" Asco RedHat 8210 Series Standard 2-way General Service Solenoid Valves, Pilot Operated, Brass or Stainless Steel Bodies. Up to 300 Psi. Next Gen 1/4" - 2-1/2" Asco RedHat Next Generation Electronically Enhanced Solenoid Valves, Low Power, Dual Voltage, Brass or Stainless Steel Bodies. Up to 1500 Psi. 3-Way 1/8" - 1" Asco RedHat 3-Way Solenoid Valves, Universal, Normally Open, and Normally Closed, Brass or Stainless Steel Bodies. Up to 200 Psi. 4-Way 1/4" - 1" Asco RedHat 4-Way Solenoid Valves for Double Acting Actuators & Pistons, Brass or Stainless Steel Bodies. Up to 200 Psi. Namur 1/4" Namur Asco RedHat 3-Way & 4-Way NAMUR Solenoid Valves for Direct Mounting to Actuators, Aluminum, Brass or St. St. Bodies. Up to 150 Psi. Cryogenic 1/8" - 1/2" Asco RedHat Cryogenic Solenoid Valves, control cryogenic fluids to −320°F (−196°C) and Liquid CO2 to −75°F (−59°C), up to 1000 Psi. Dust Collector 1/8" - 1/2" Asco RedHat Dust Collector Valves have been specially designed for use in dust collector systems. Scientific 10-32 UNF Asco Scientific Micro-Miniature solenoid valves are designed for medical, analytical, and industrial applications. Posiflow 1/4" - 1/2" Asco RedHat Posiflow Proportional control solenoid valves for controlling the flow of gases and liquids. 8290 3/8" - 2" Asco 8290 Series Pneumatic 2-way Pilot Operated Piston Valves for shutoff or regulating control. Brass or Stainless Steel Bodies. Up to 240 Psi. Pilot 1/8" - 1/4" Asco Pilot 3-way valves for use with 8290 Piston valves and other pneumatic spring-return valve operators. Accessories 1/4" - 3/4" Asco Valve Accessories including Adjustable Flow Control Valves, Strainers, Quick Exhaust/Shuttle Valves, and Check Valves. FRL 1/8" - 2" Asco Filters, Regulators, and Lubricators should be installed upstream of solenoid valves for reliable operation. Numatics FRL 1/8" - 1" Asco Numatics Pneumatic and Motion Control Valve Manifolds, Filters, Regulators, Lubricators, & Accessories. 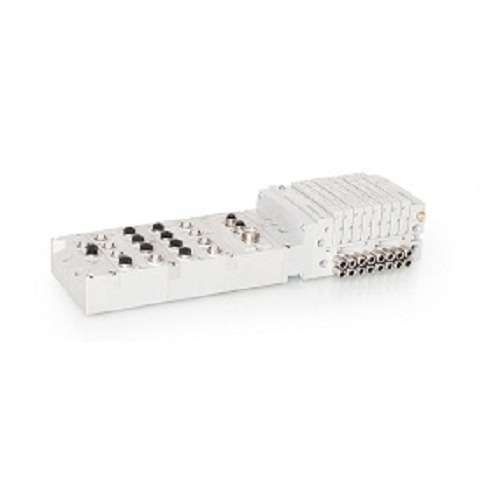 Numatics 501 4mm - 1/4" Asco Numatics 501 Series Pneumatic Valve Manifolds. Modular design for easy configuration. V022 1/8" - 2" Asco Strainers should be installed upstream of solenoid valves to prevent clogging of internal passages. Kits 1/8" - 2" Asco Rebuild Kits contain all of the parts that are subject to wear as well as detailed installation instructions. Coils 1/8" - 2" Asco Coils. When ordering coils, order the number stamped on the solenoid and always specify the voltage. Indicators 1/2" - 4" Asco HS Position Indicators for linear valves including diaphragm valves and Asco 8290 Pneumatic angle-seat Valves. Switches 1/8" - 1/4" Asco Pressure Switches are designed to control other devices electrically based on pressure input. Contact us for other models and options.